Today's guest post is brought you by Angelina Lawson. Thanks! When you are blessed with a family, you are always searching for different ways to entertain your children. You want to enrich their lives, make sure they enjoy themselves and have quality time together. If you find yourself in London, there are a host of things you can do to occupy your children. Plan ahead and use a little creativity to keep everyone actively engaged. 1. Take a look at the box office and discover what the London theatre has to offer. 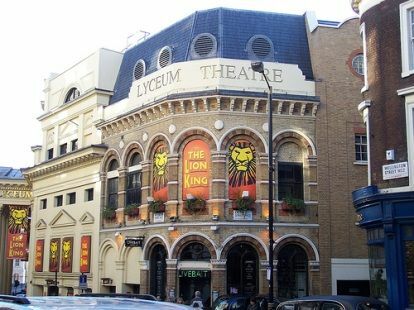 There are many excellent theatres in London and family-oriented shows are always part of their productions. Currently, "The Wizard of Oz," "Lion King the Musical" and "Shrek the Musical" are only few of the most popular choices that are intended for children but it is no surprise to find that it will be enjoyed by the entire family also. 2. When planning your visit to the London theatre, make a day of it. Stop in at the Harrod's to do a little shopping before the show and then find a place to enjoy a meal to finish off your experience. 3. Try a London theatre scavenger hunt or I Spy. When everyone is settled in the theatre, waiting for their Box Office show to begin, ask your children to find different things in the theatre. You may be thinking of a particular movie poster, a person in the audience or something at the concession stand but your kids will find things that might have skipped your notice. 4. Take a Thames River tour. If your box office show is in the evening, you'll have an entire day ahead of you. 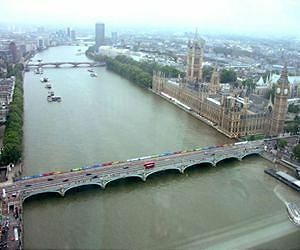 A journey on the Thames will give you an entirely different perspective of Britain's capital. 5. Go on a walking tour of the city. There are so many highlights such as the Tower of London, Big Ben, Westminster Abbey and Buckingham Palace. Be sure to stop and visit all of your favourites. 6. Pack a picnic and head to the park. Your picnic can be before or after the show at the London theatre. The children will enjoy the fresh air, can have some physical activity and then settle down for a bite to eat. 7. Take a trip on the train. Choose a destination that everyone has always wanted to visit and do a little exploration on the railway. Tickets are inexpensive and there is so much of interest to see. 8. Spend the night in a hotel or bed and breakfast. Children love the excitement of an overnight.